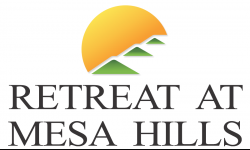 The Retreat is a beautiful, safe, and quiet communitysubmitted by Taylor S. - Aug 29, 2017 |Recommended: YesIt's a very nice place to live. You can walk to all the shops nearby and have easy access to I-10. Great apartment complexsubmitted by Devan H. - May 25, 2017 |Recommended: YesI love the peaceful, friendly environment I give them a two thumbs up. Physically attractive, reasonably priced, great amenitiessubmitted by David P. - May 05, 2017 |Recommended: YesIf someone asked me what it was like living here, I would tell them I really like it. It's a great location and has great amenities. The staff is great for the most part and the apartments are nice. Great Place to livesubmitted by Josue P. - Apr 28, 2017 |Recommended: YesThis is definitely the best apartment complex that there is West El Paso. I looked all over the city and this was definitely the best choice. I think the property is very beautiful. My daughter says she feels like she's on vacation.submitted by Evelyn L. - Feb 07, 2017 |Recommended: YesI have only lived her a short time but so far it has been a good experience. My requests have been met in a timely manner. The staff, especially Larissa, is very cordial and ready to attend to what residents need. I am happy I chose this apartment complex to live with my family and we are looking forward to the summer to enjoy the amazing pool. Nice Apartment Complexsubmitted by Toni M. - Dec 19, 2016 |Recommended: YesIt is like being in a resort. Above & Beyond The Rest!submitted by Mario C. - May 19, 2016 |Recommended: YesI moved in two months ago, and I absolutely love it. I had a minor misunderstanding with the leasing office about the move in cost. Yet, Mrs. Armendariz the community manager went above and beyond to resolve that issue! The staff is exceptionally friendly, and response accordingly to your needs. As for as the grounds or concerned it is well maintained, and clean in some area some actually could use so improvements. The pool is beautiful, yet over run on the weekend from non-residents not ok! Location is extremely convenient close to everything. I just feel the office makes you feel at home, over all great place to live.